First Battle in the Wars of The Roses? If you thought the Wars of the Roses were fought between 1450-1509 then think again. 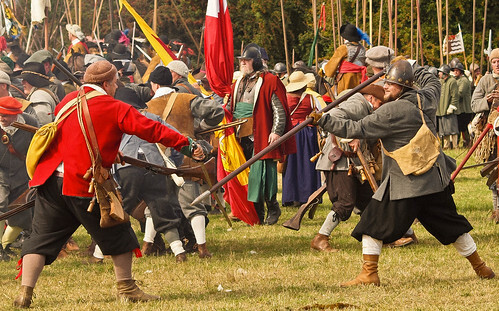 The battle of Bramham Moor in 1408 could have been the first sign of the trouble to come. More likely problems already existed between royalists, Lancastrians and feuding Lords. Richard II was the grandson of Edward III but not of the same caliber when it came to war. A threat to Richard’s authority existed from the House of Lancaster which not only possessed greater wealth they were also of royal descent and likely candidates to succeed the childless Richard. In 1399 whilst Richard was fighting in Ireland he was deposed by his cousin the son of John of Gaunt, Henry Bolingbroke aka Henry of Lancaster, Earl of Derby or King Henry IV. Earlier Henry had be banished and Richard had seized Henry’s large Lancastrian estates. The usurper imprisoned Richard in Pontefract castle where he died potentially starved to death on the orders of Henry. Henry then had trouble with Owen Glendower over Welsh independence and with rebellious northern lords. The Percy family were one of the most prominent families in the North of England and amongst the rebellious lords who fought against King Henry. ‘Hotspur’ and his father Henry Percy, 1st Earl of Northumberland had fallen out with King Henry IV. They met a royal army at Shrewsbury in 1403 and Hotspur was killed leaving his father to flee to Scotland. Early in 1408 Northumberland returned to England building a small force as he journeyed south. To the east of Bramham village Northumberland’s force was intercepted by Sir Thomas Stokeby a staunch supporter of King Henry, and the Sheriff of Yorkshire. The battle through the afternoon routed Northumberland and he was either killed or executed in York (history is a bit cloudy on that matter). 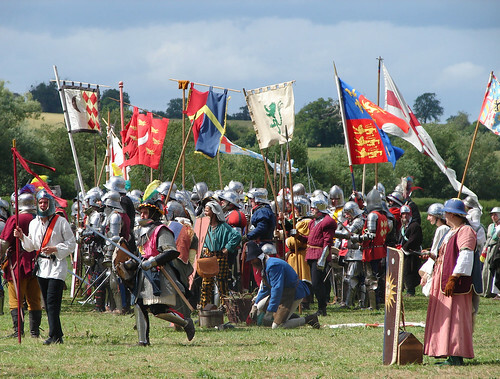 Bramham was a battle ground in the Wars of the Roses but since it followed as a direct consequence of the battle at Shrewsbury it may claim to be the first. 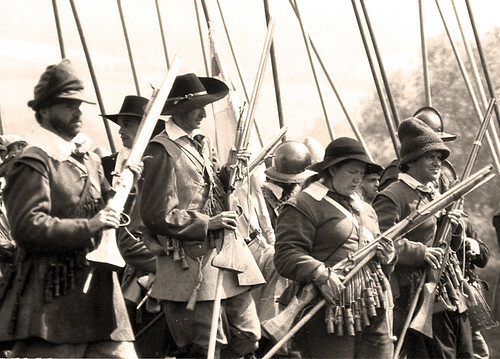 However Bramham Moor was the first war of the roses battle on Yorkshire soil. Bramham lies south of Wetherby between Leeds and Tadcaster.